At Jan's Custom Window Fashions, we understand the cost and commitment of installing new shutters throughout your home, or even on just a few windows. 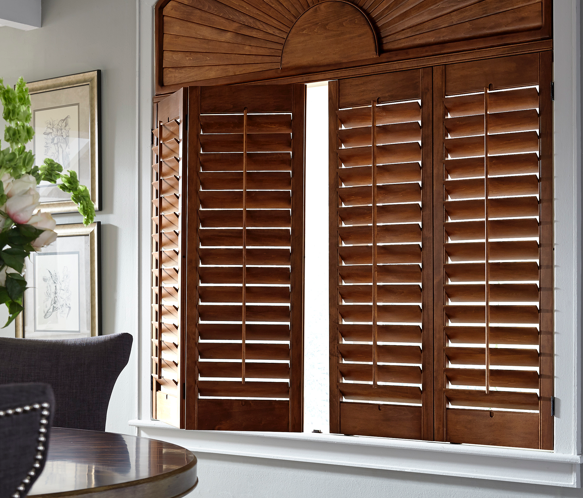 With top brand names like Hunter Douglas, Lafayette, Norman, and Graber, we're proud to offer durable, classic-look shutters with fade-resistant finishes that are built to last. Our professional design consultants, serving Mid-Michigan, Genesee and Oakland Counties, and the surrounding areas, are available to assist in your shutter selection to ensure your satisfaction for years to come. While similar to blinds with the slatted style, shutters are only offered in hard materials and are typically all one piece with tilt bars or louvers. Once installed, shutters will look seamless with your walls, no matter the shape or size window. Shutters can give your windows a classic plantation look like no other window treatment can and will blend in with your home décor effortlessly. Because of the durable materials shutters are built with, including wood, hybrid compounds, and other hard composites, they are often better at providing insulation and privacy. This also means shutters are great at blocking light, but are still able to be adjusted for light and airflow to your preference. 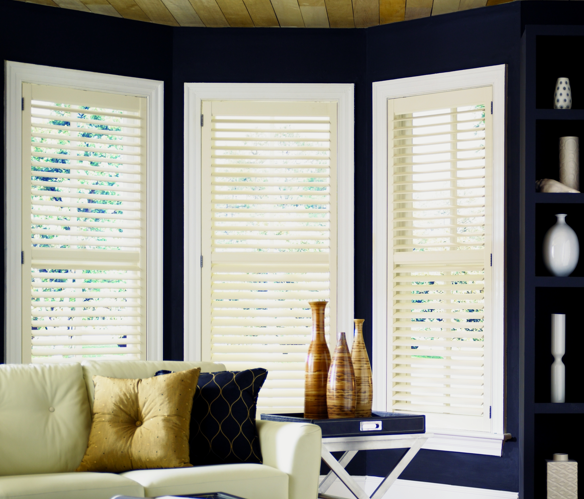 Shutters are truly built to last a lifetime and are elegant, UV, heat, and moisture resistant window treatments. Don't know what type of window covering you're looking for? Explore photos and our product selection including blinds, shades, drapery, and interior accents.